Young’s Foodservice and Alaska Seafood Marketing Institute (ASMI) held a student roadshow earlier this month (8th-9th May) as part of their ongoing commitment to the education sector and their communication with schools around the country. The company delivered workshops to groups of 30 children at a school in Derbyshire, interacting with over 300 in total. The aim of the sessions was to give the students a comprehensive overview of the seafood industry and teach them how fish are caught, filleted and prepared. Working alongside the Alaska Seafood Marketing Institute, Young’s helped to reinforce the importance of sustainably sourced seafood and the health benefits of eating fish at least twice a week. 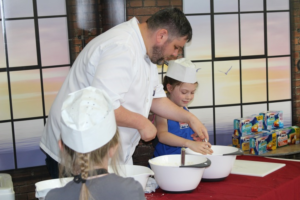 Development chef, Joel Carr, encouraged the students to create their own fish fingers by coating fillets of Wild Alaska Pollock in a simple batter. The Young’s Foodservice team were joined by Sarah Johnson, representative of Alaska Seafood Marketing Institute to demonstrate the company’s dedicated education website to the schools caterers. 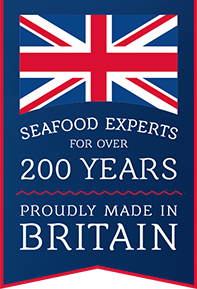 The site includes useful advice on all things seafood, from ways to add variety to school menus, to tips on the importance of sourcing sustainable fish and highlighting the different species available. The selection of handy, colourful factsheets, ‘fishy facts’ are ideal for use as a fun, educational tool for children. These include visual story boards of the different species of fish and their journey from the sea to our plates.